A small piece of Britain’s ancient past is to feature in an antiquities sale at Tennants of Leyburn on March 31. 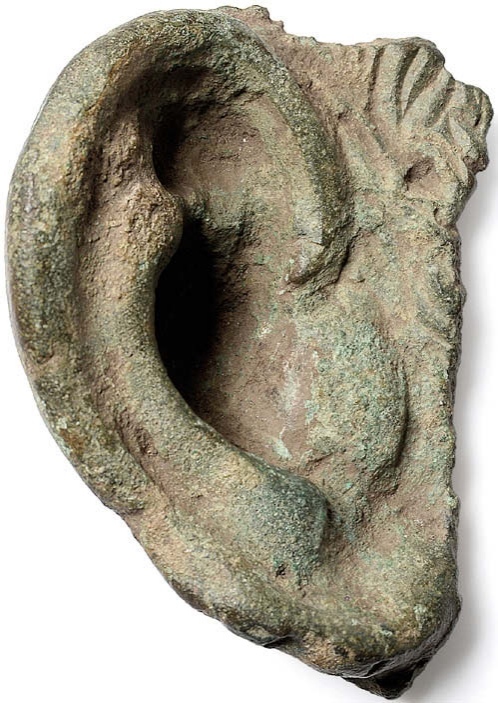 The 3in (7cm) Roman cast bronze ear was found by the vendor in Brompton-on-Swale near Richmond. Dating to c.200-400AD, the ear is thought to have been separated from an impressive bronze sculpture and is therefore one of only a handful of fragments of this calibre to have been found in Britain. It has been documented by the Portable Antiquities Scheme. An extensive collection of Beatrix Potter books and drawings opens Forum Auctions’ Fine Books and Works on Paper sale in London on March 30. Consigned from the property of a gentleman, the 59-lot group ranges from sketches and watercolour flower studies to first editions of the author’s bestknown books. Pictured here and guided at £300-400 is a first edition of The Tale of Johnny Town-Mouse with 26 colour plates. Published in 1918 when Potter’s eyesight was failing, it became the last book for which Potter drew up an entirely new set of illustrations. 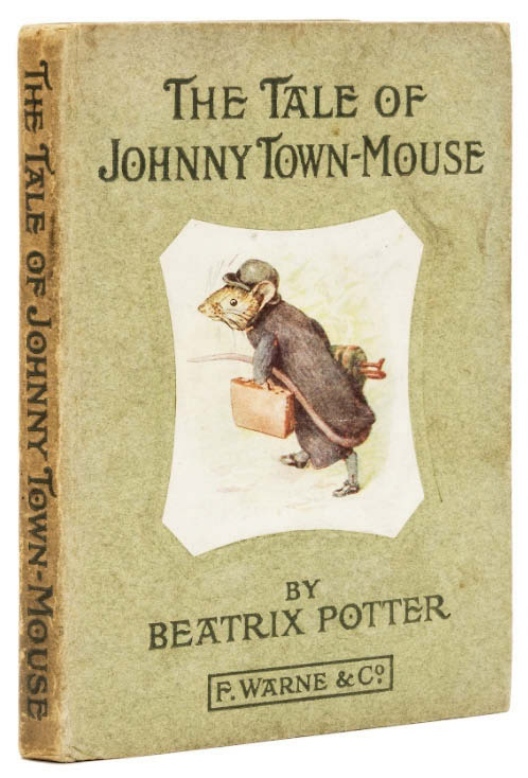 The character of Johnny Town-Mouse was based on Dr Parsons, a friend of her husband. 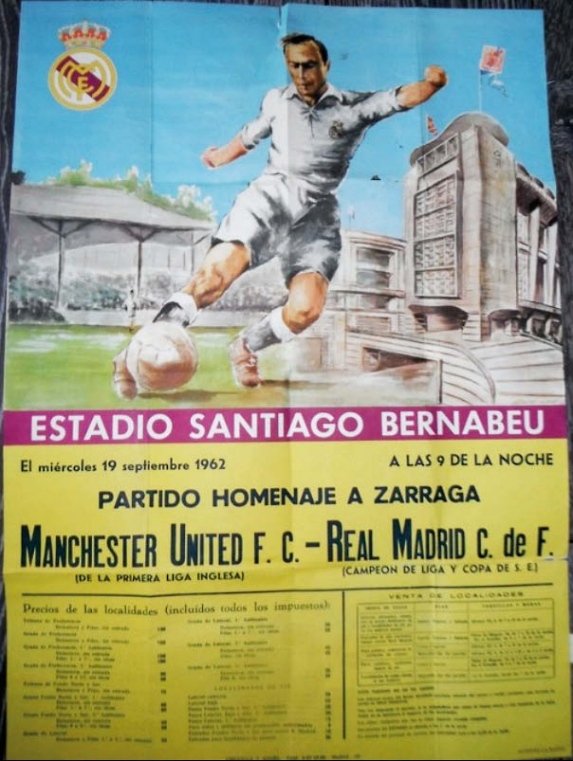 Stacey’s April 3 sale in Essex is dedicated to football and features this scarce 1962 friendly match poster between Real Madrid and Manchester United. Played at the Bernabeu on September 19, the match was won by Manchester United 2-0. The 2ft 3in x 18in (69 x 46cm) promotional poster was sent by Real Madrid to a local café bar. A stamp and the café’s address survives to the rear. 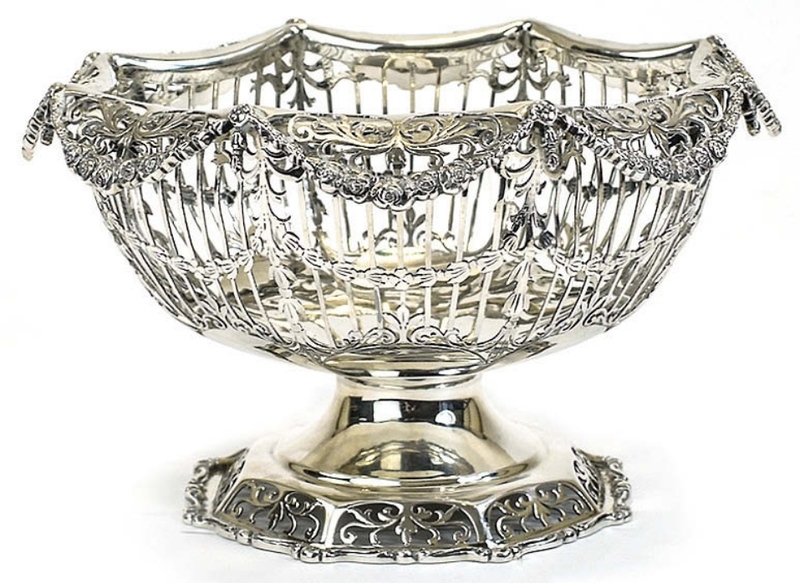 This Mappin & Webb pedestal bowl with elaborate openwork decoration is a leading silver lot at Gerrards Auction Rooms’ March 23-24 sale in Lytham St Annes, Lancashire. Described as in ‘pristine’ condition, the 7in (18cm) wide piece is hallmarked London 1912 to the vase and base and is estimated at £300-350.